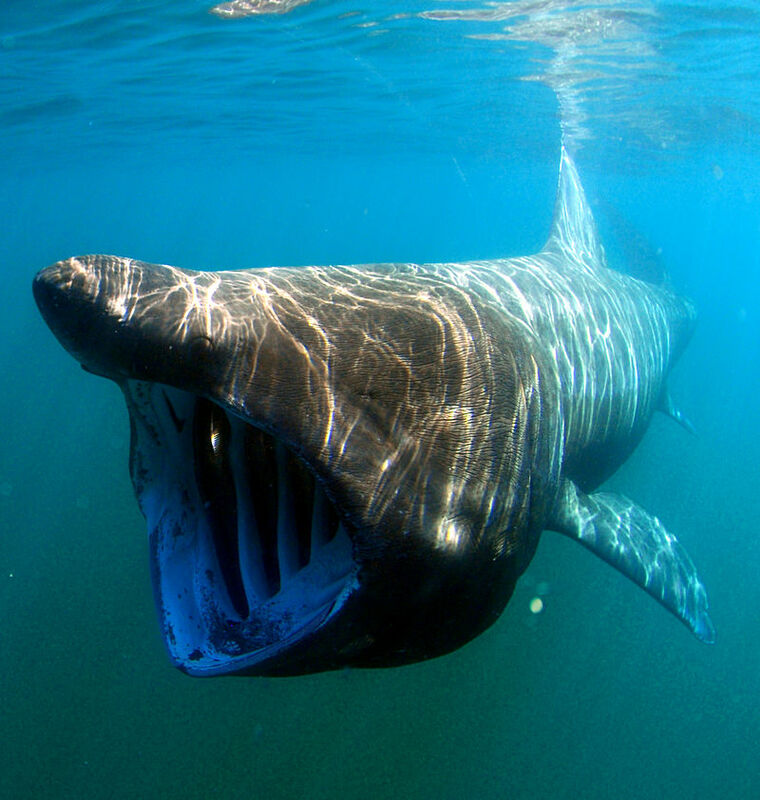 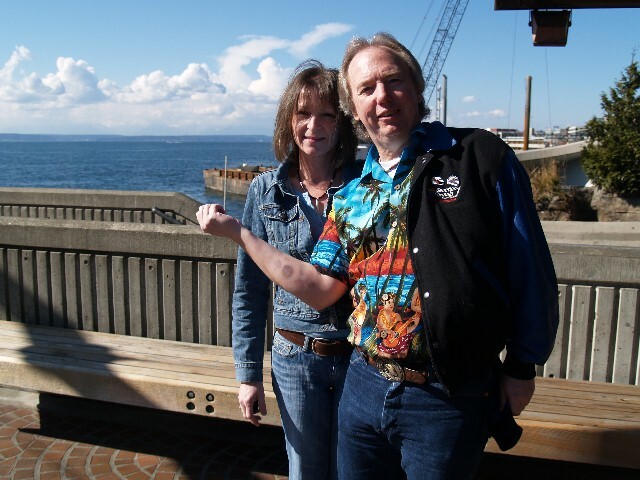 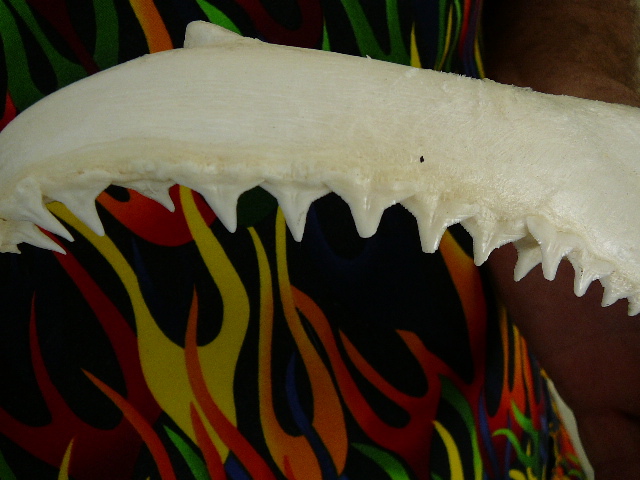 ALL OTHER JAWS INTERNATIONAL ONLY: add $93 per package for U.S. 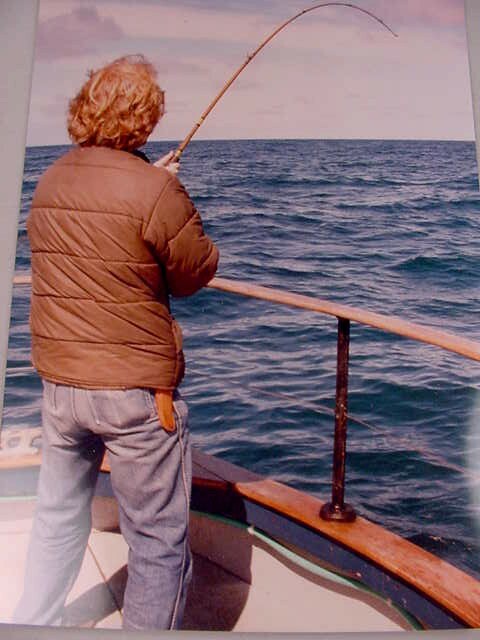 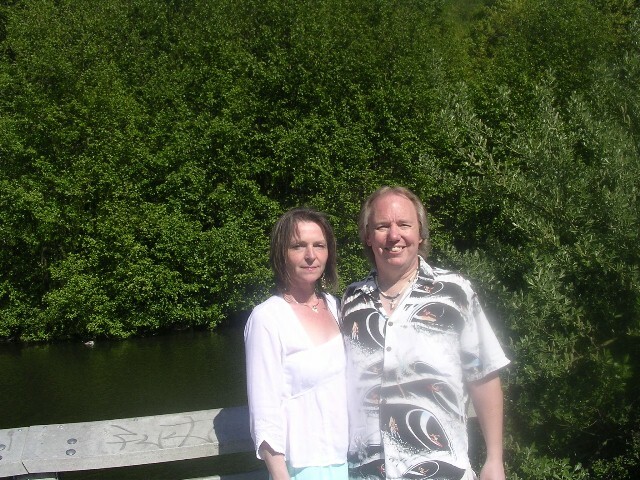 Fish & Wildlife inspection. 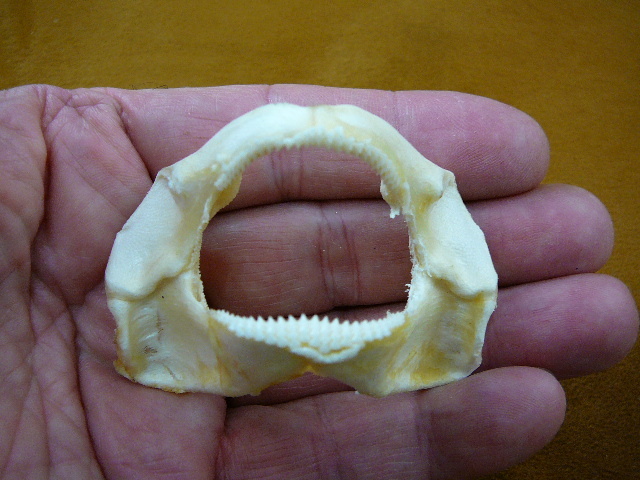 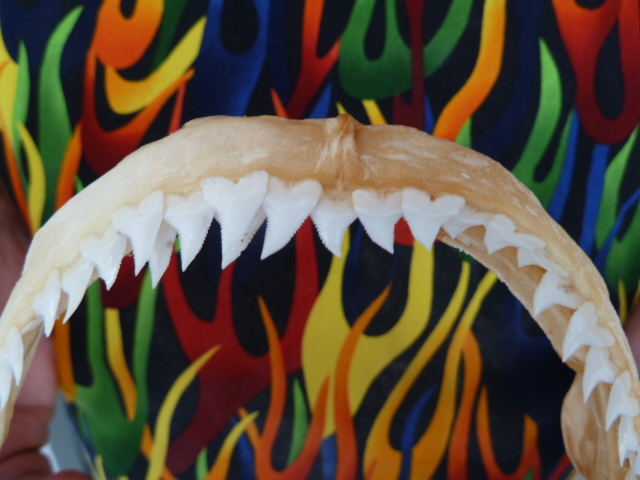 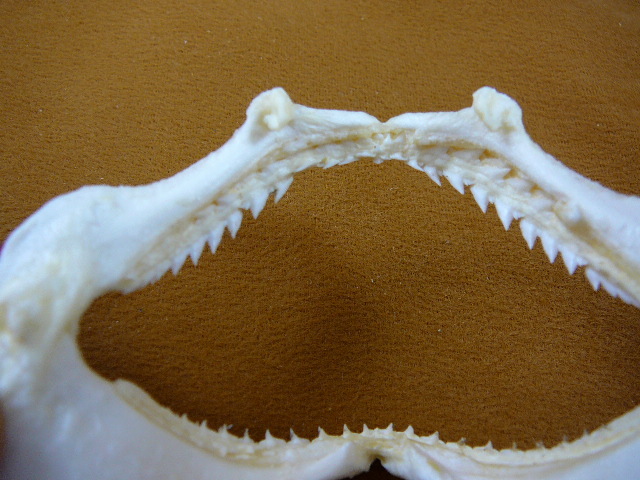 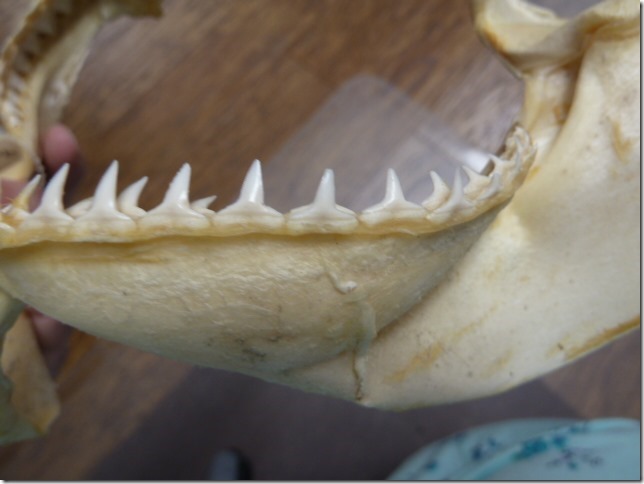 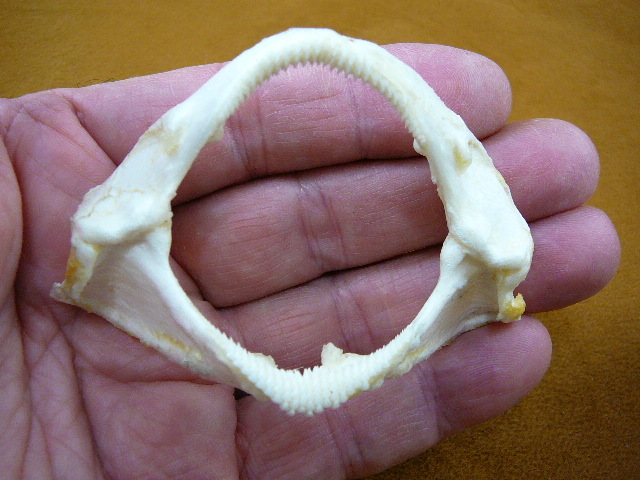 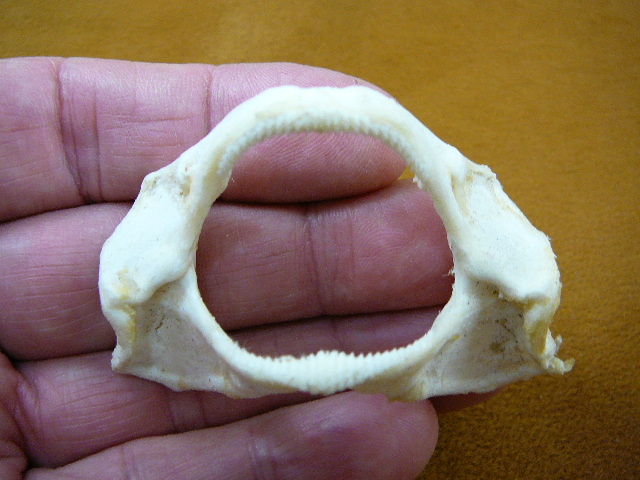 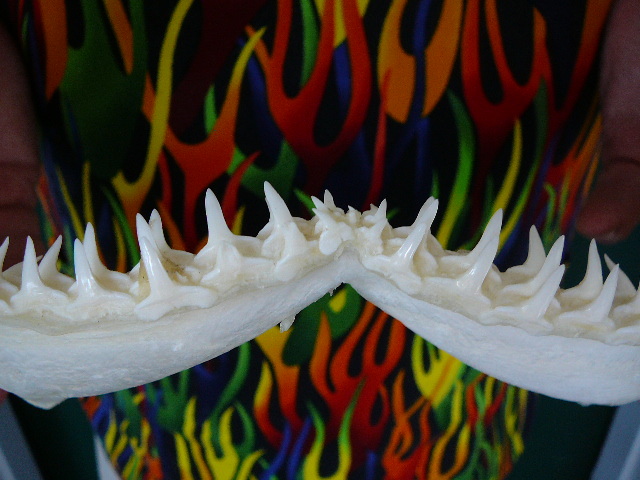 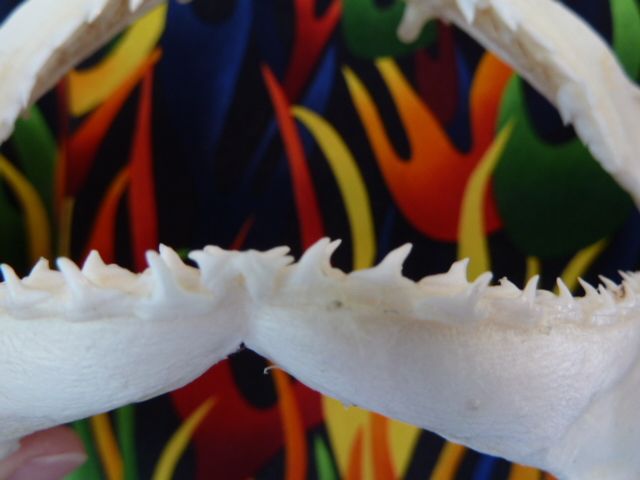 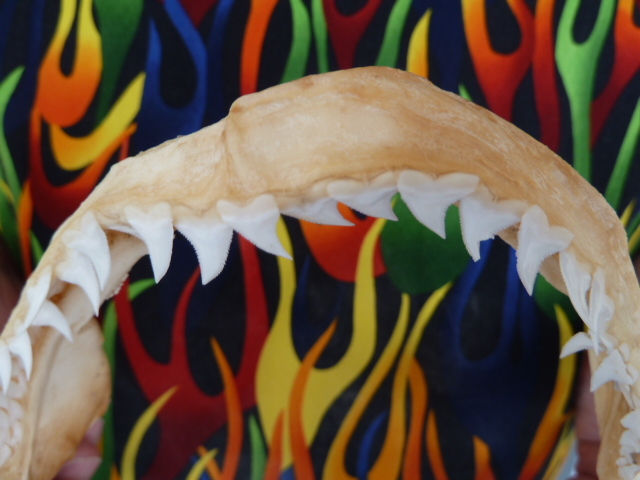 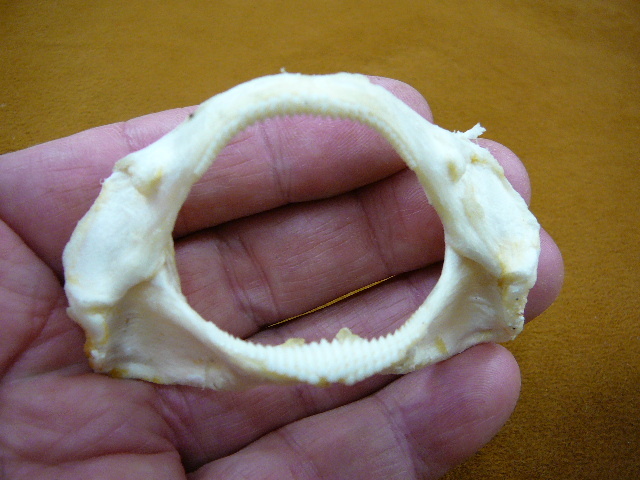 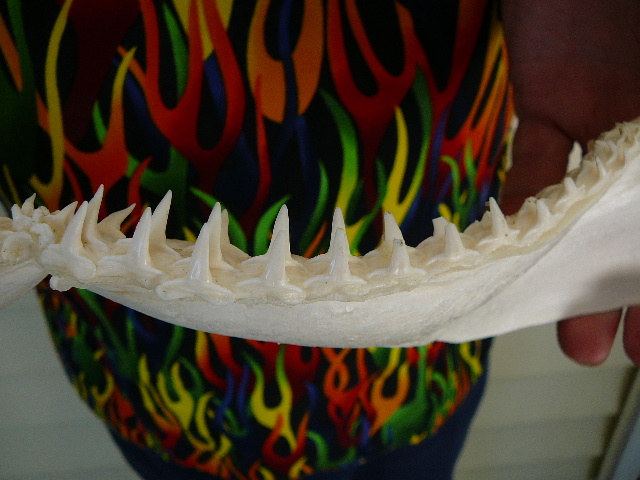 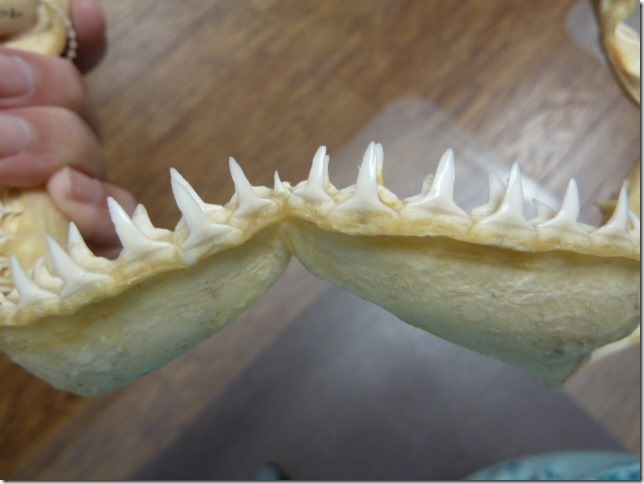 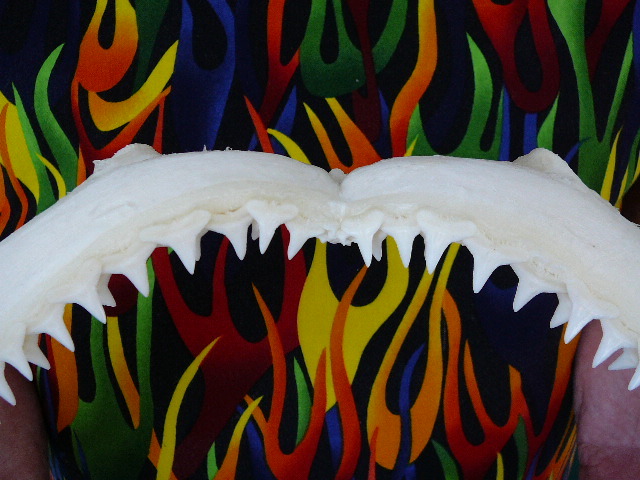 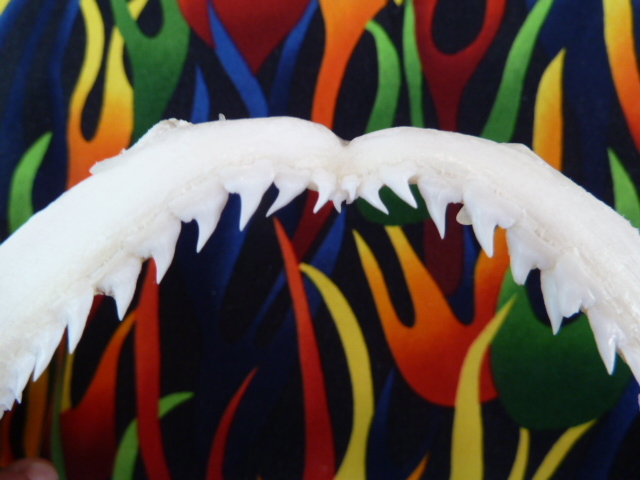 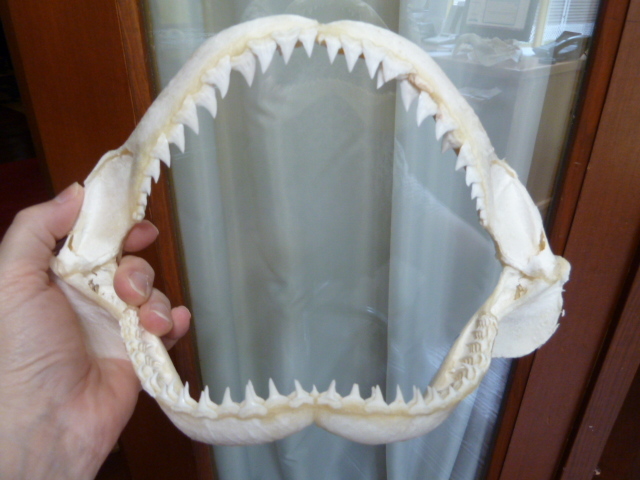 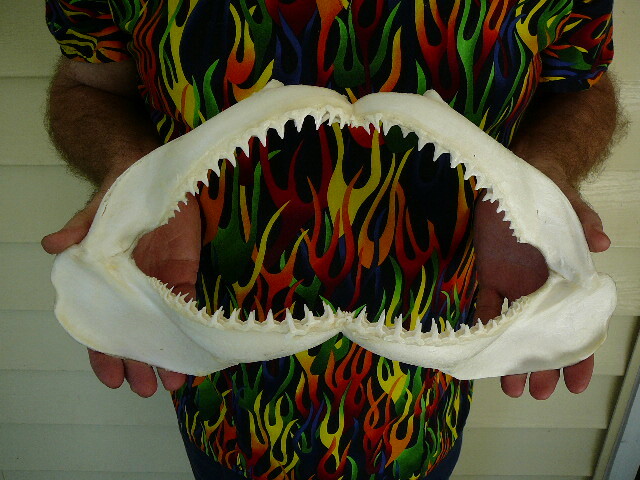 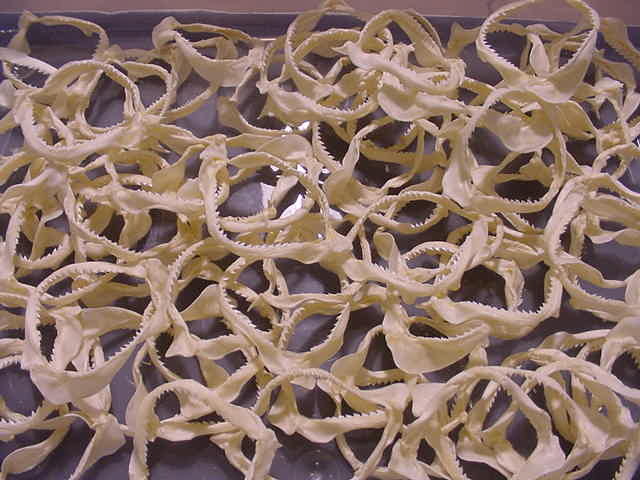 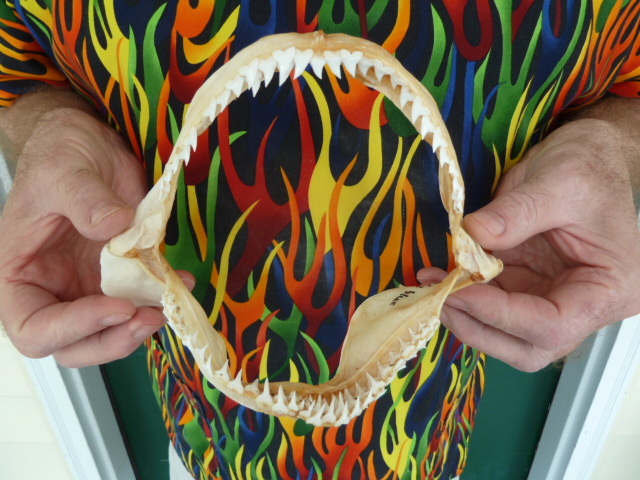 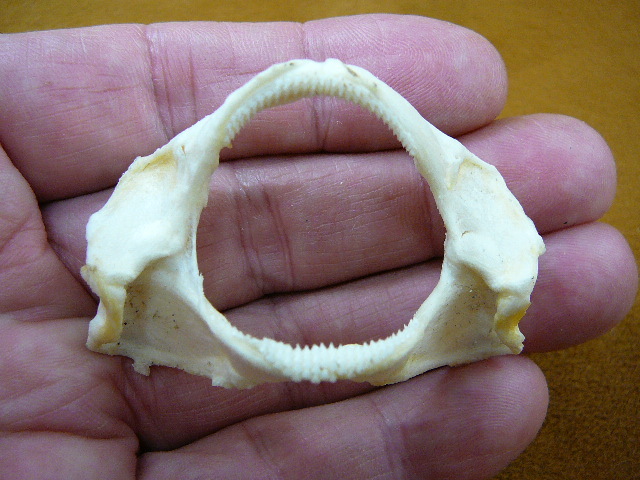 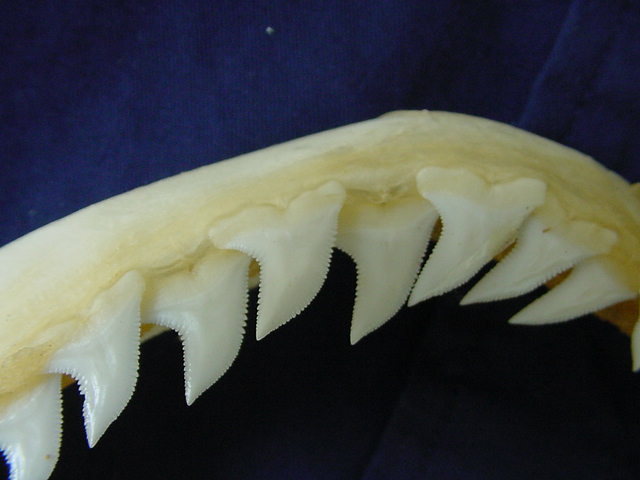 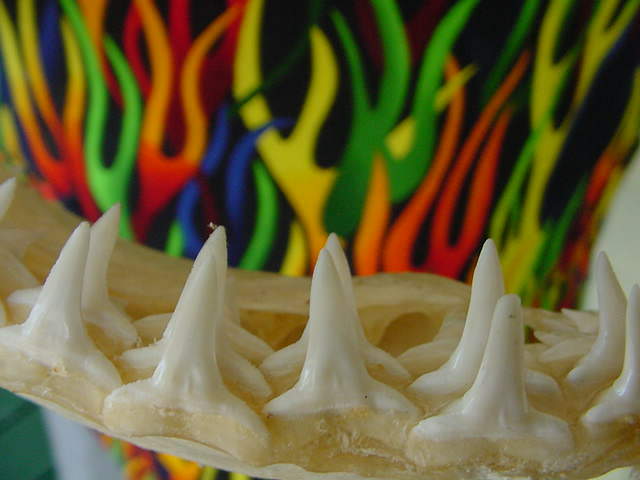 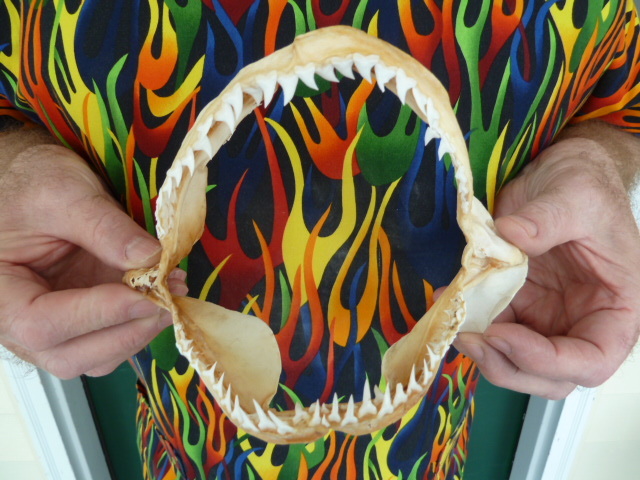 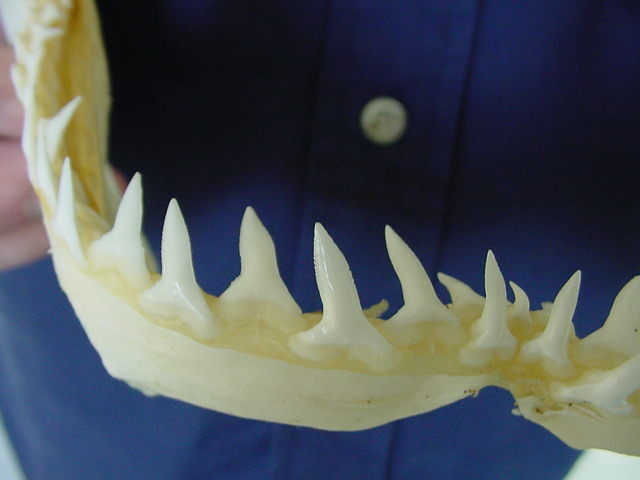 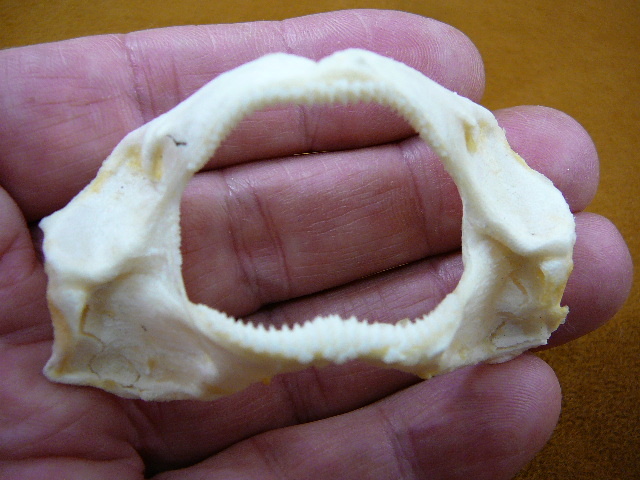 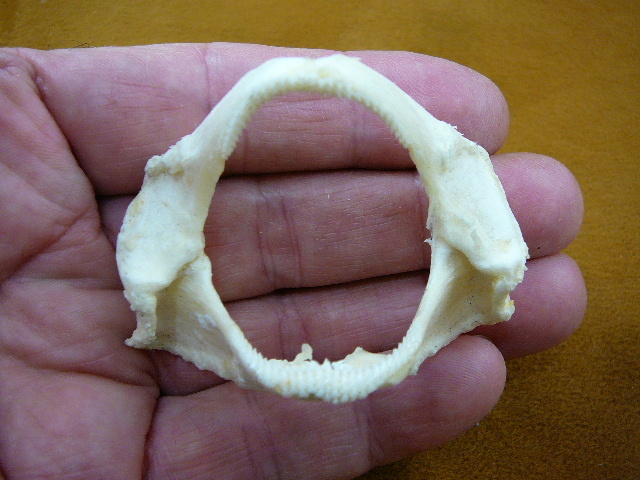 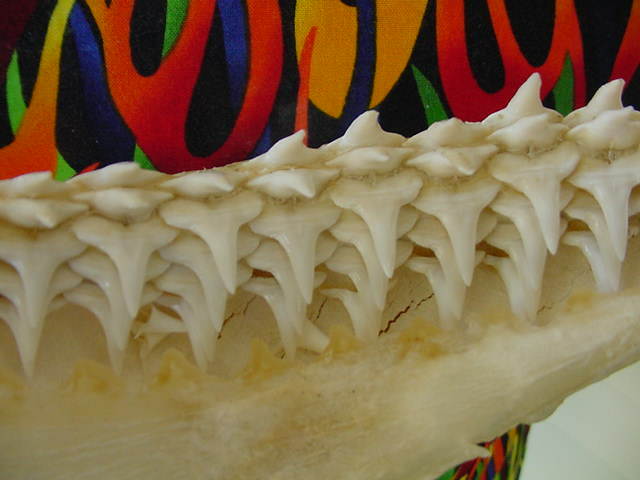 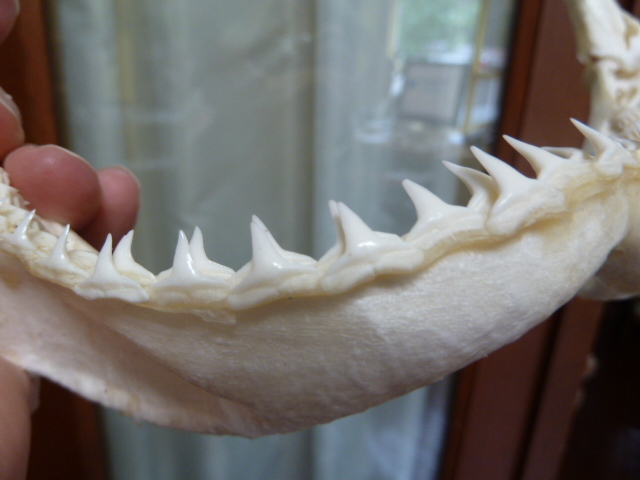 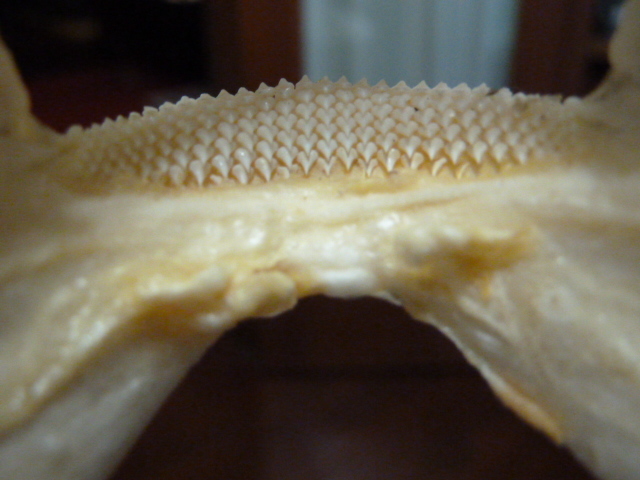 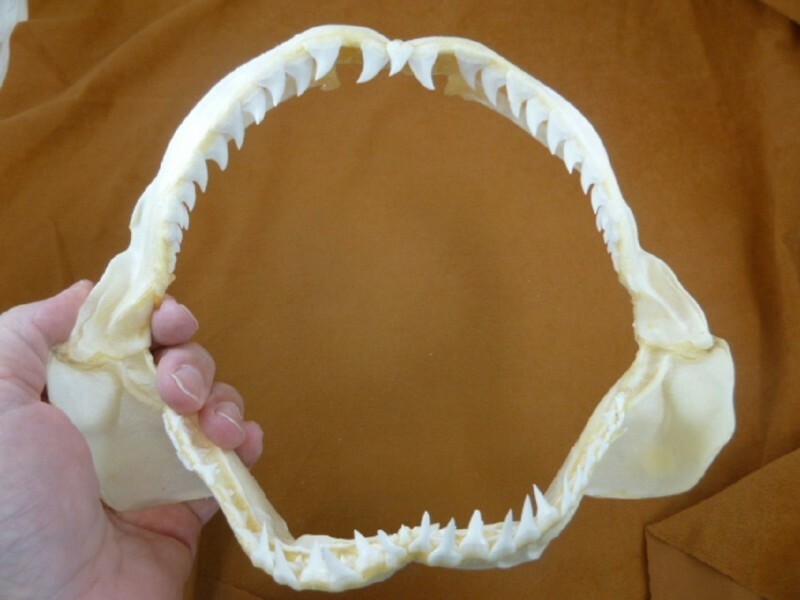 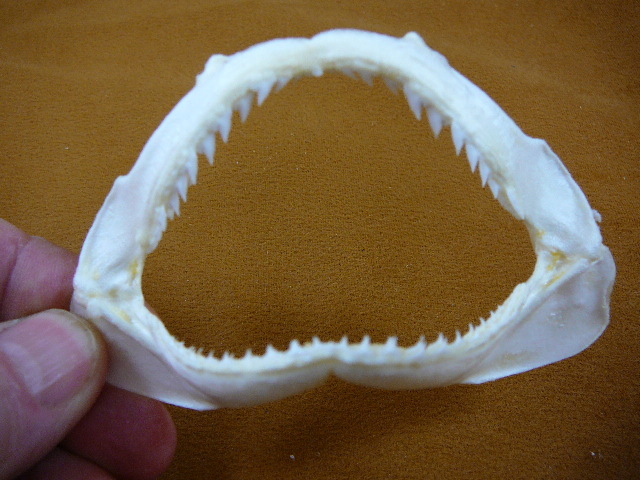 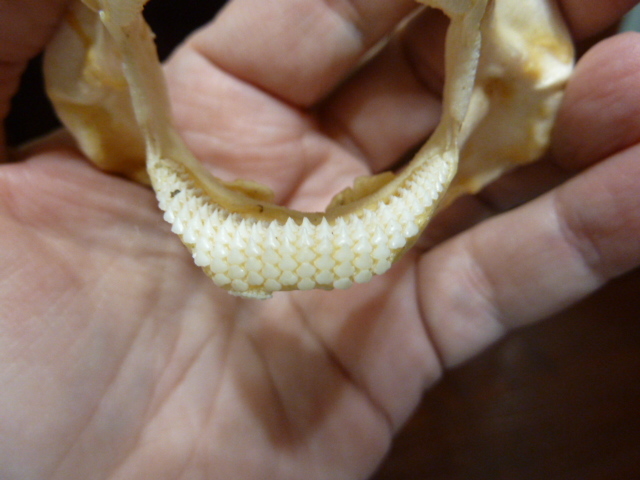 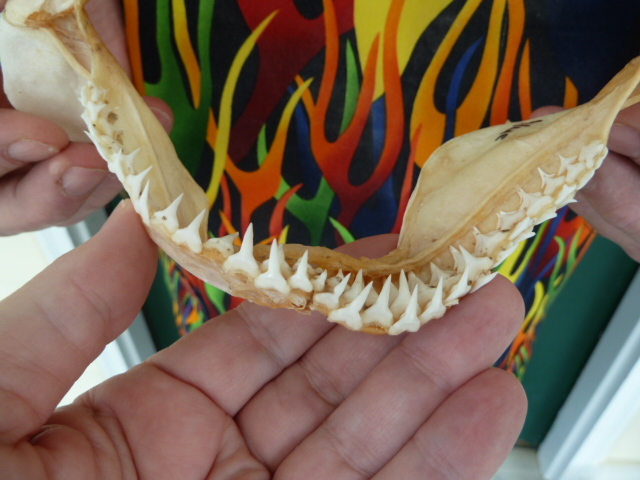 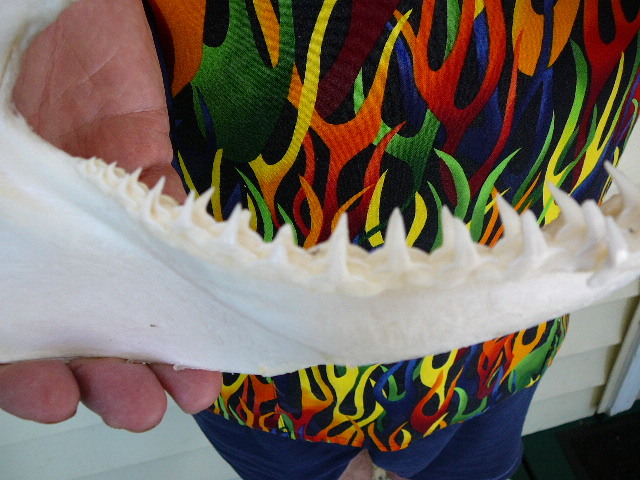 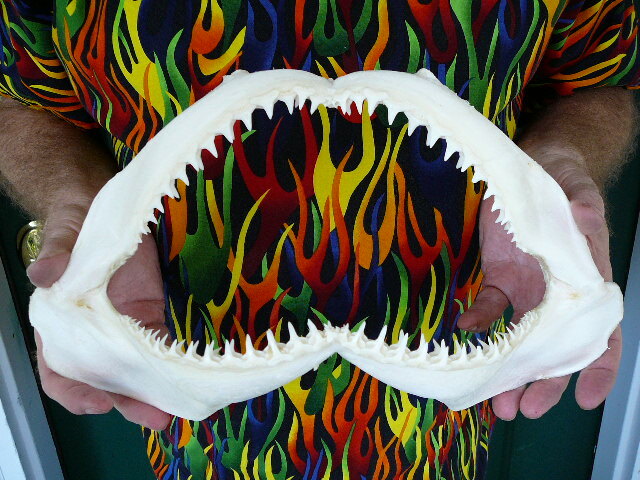 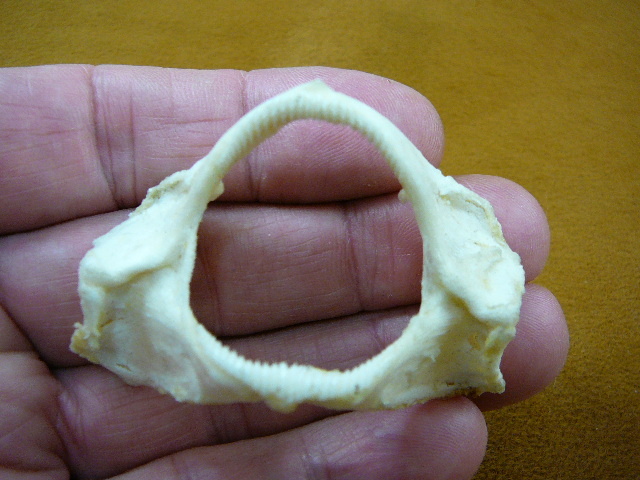 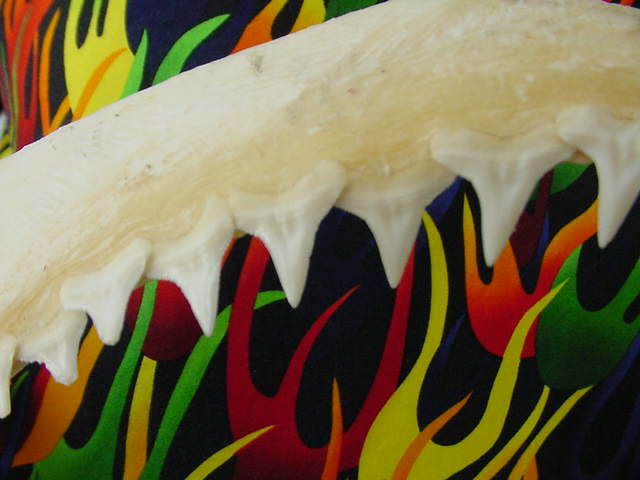 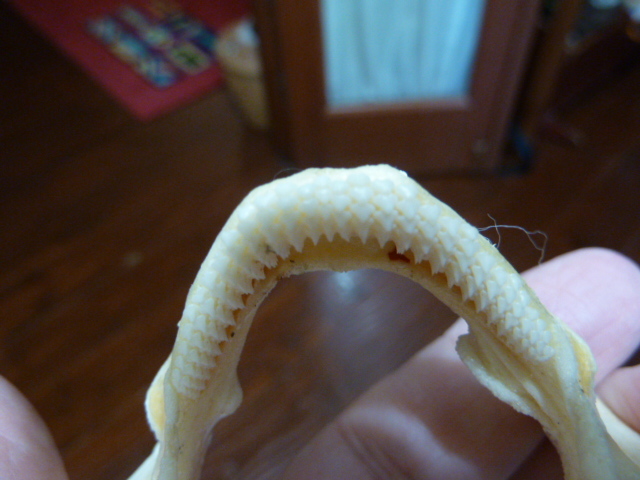 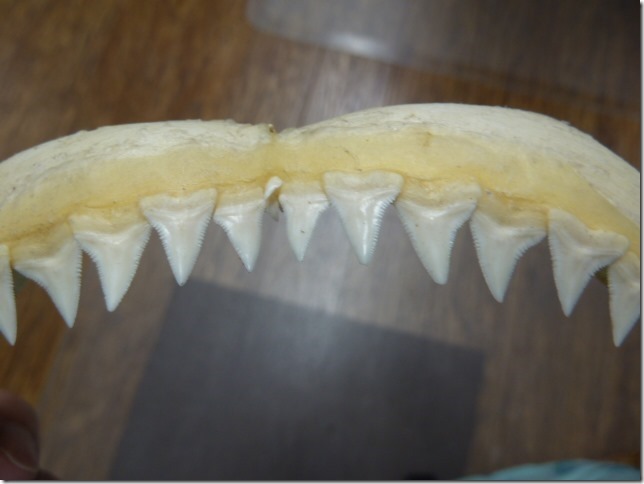 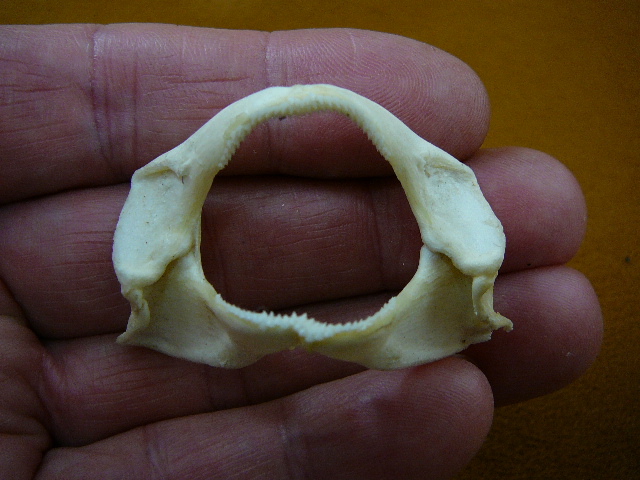 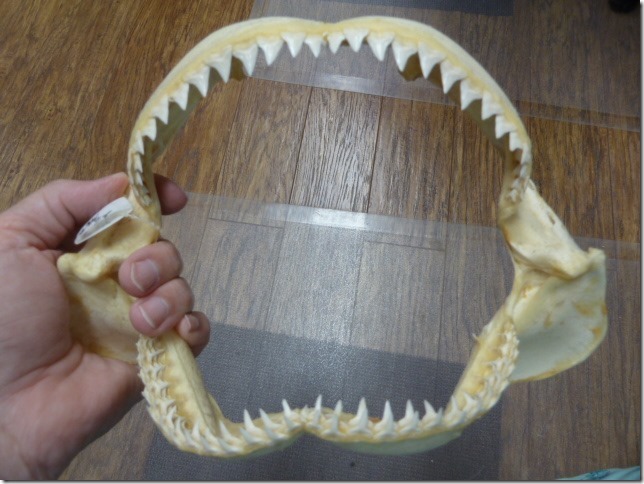 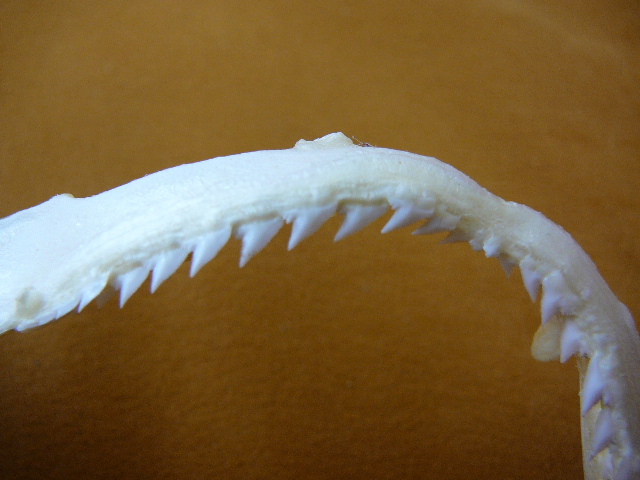 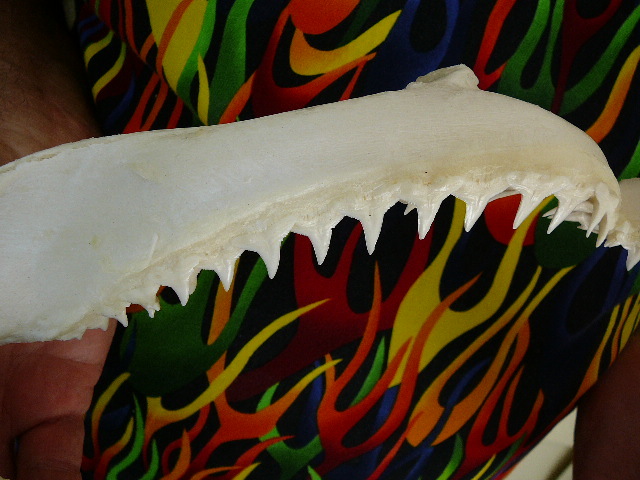 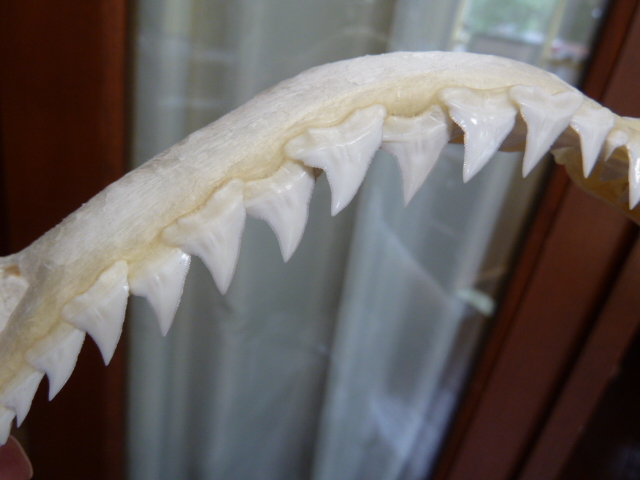 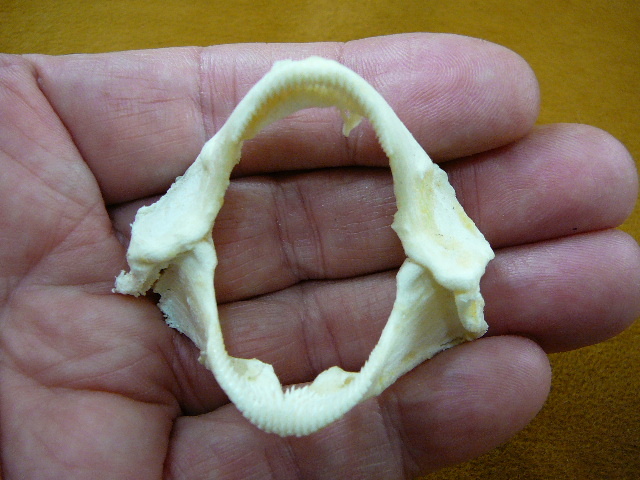 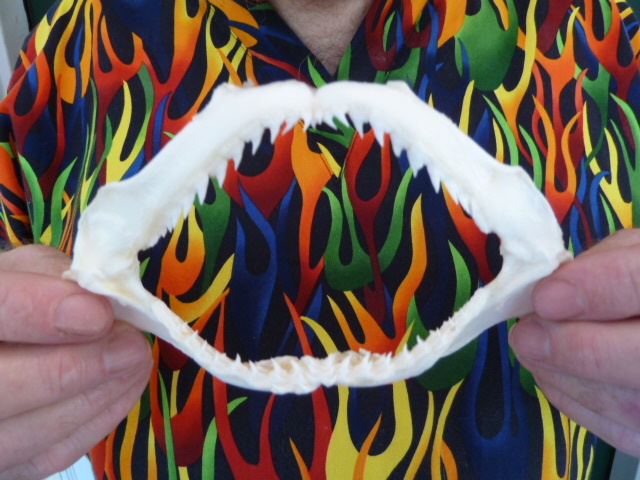 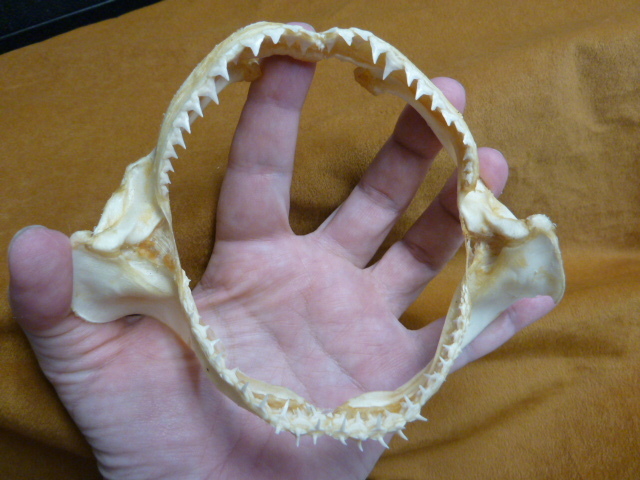 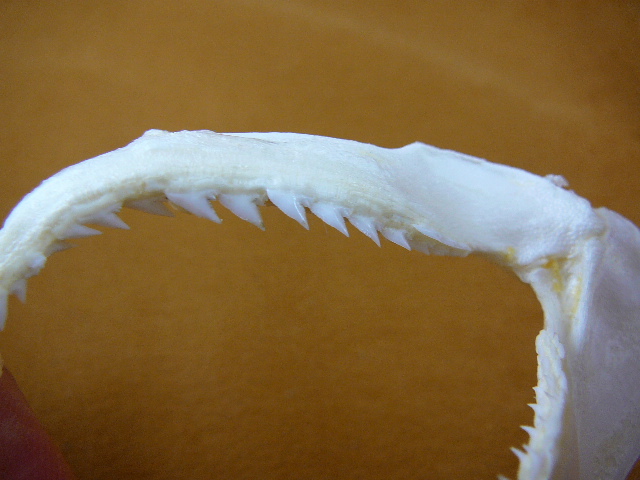 Page 2 - BRAMBLE Shark jaws (SJ-20 series) 75% off sale! 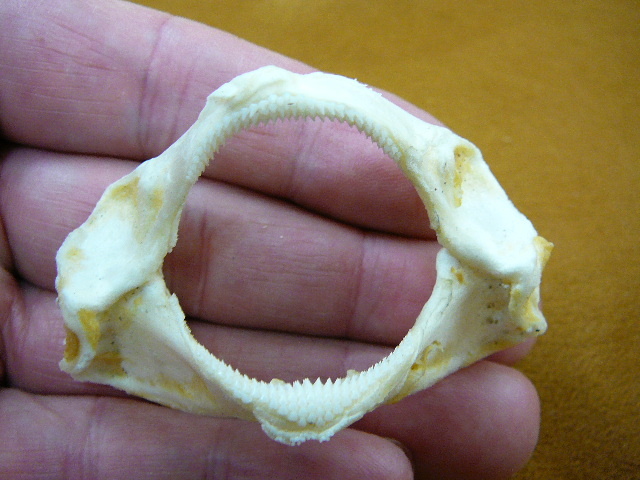 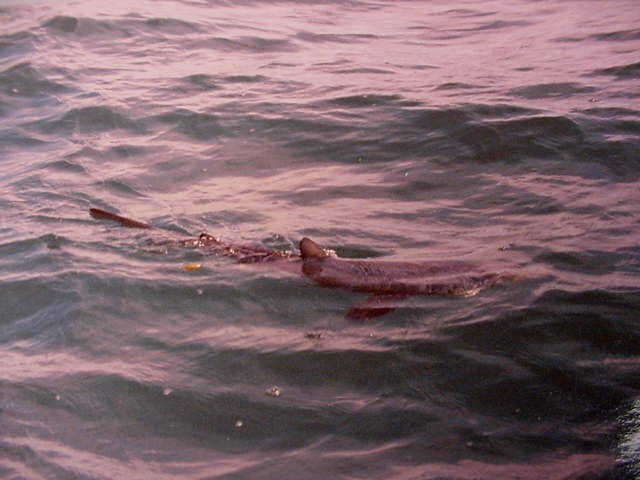 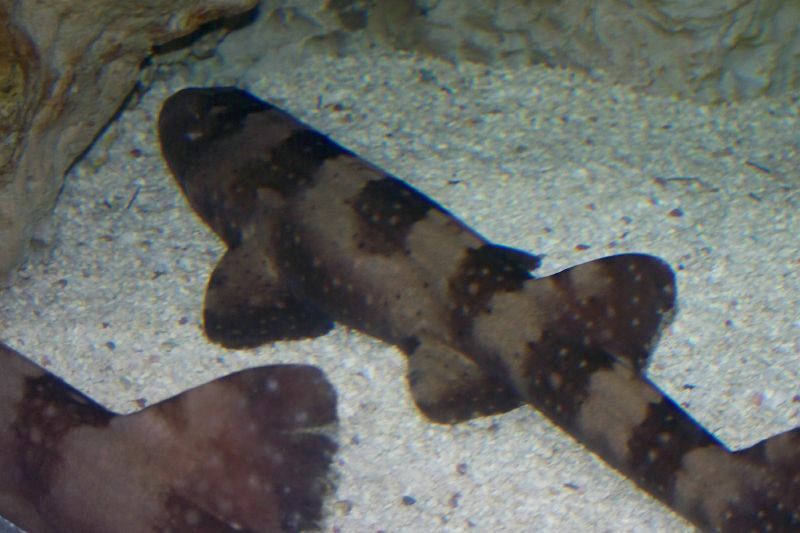 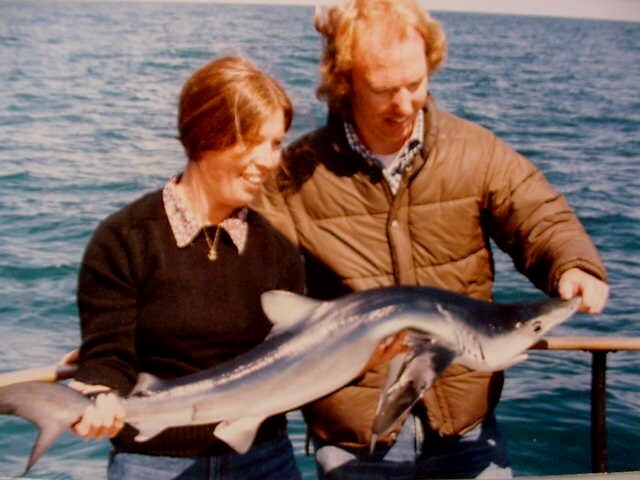 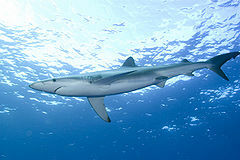 A dogfish shark of the family Centrophoridae, it has a long narrow snout. 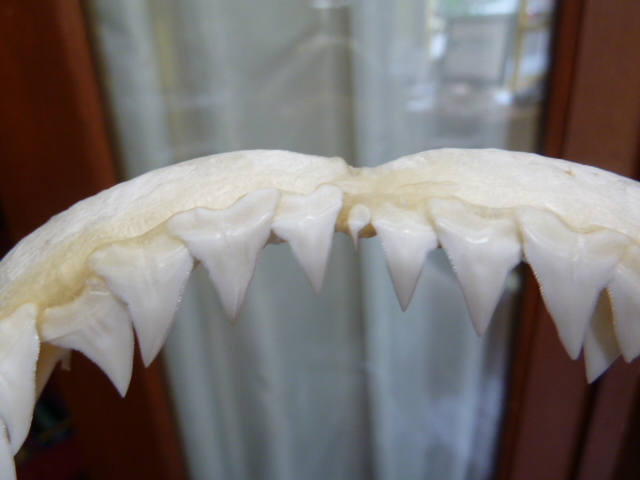 May be missing, chipped or broken teeth, turned in teeth; discounted accordingly. 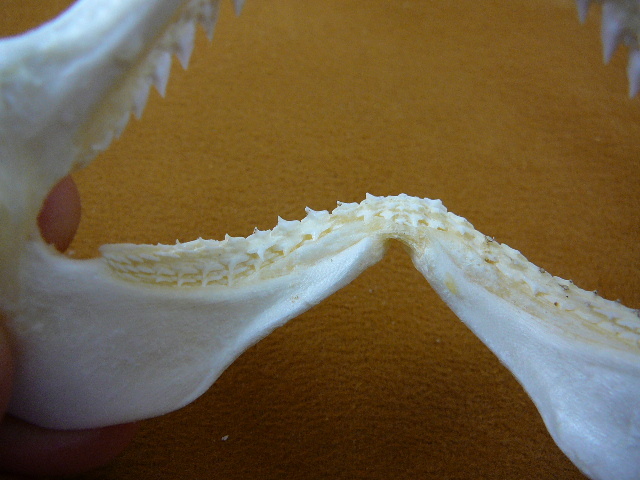 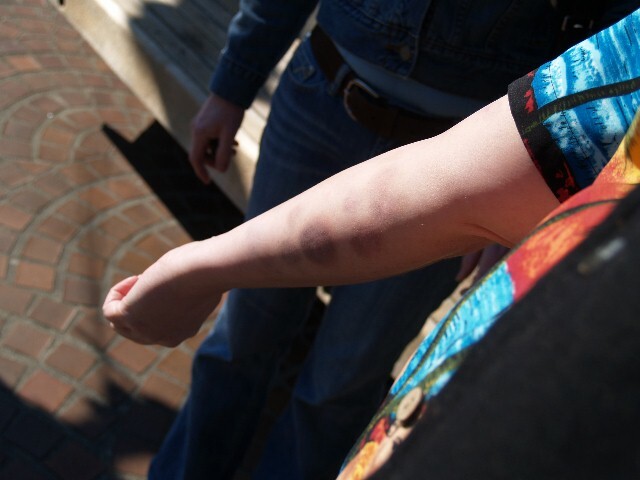 This is the exact jaw you will receive. 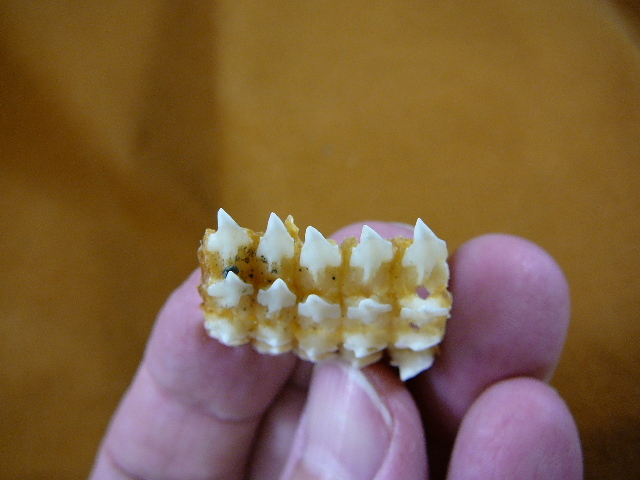 Ssome missing/broken teeth, discounted accordingly. 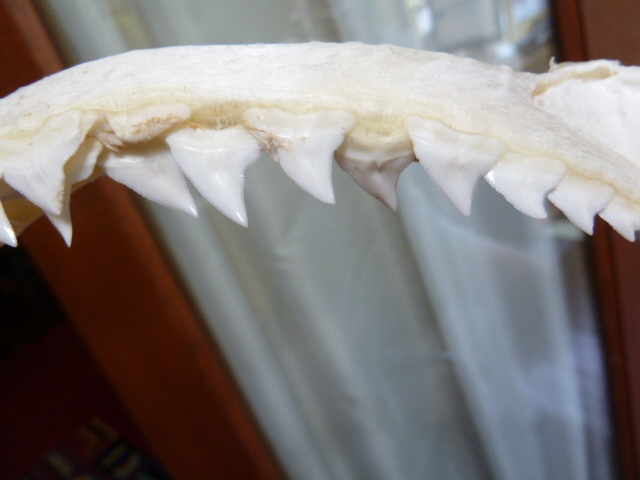 Some missing/broken teeth, discounted accordingly. 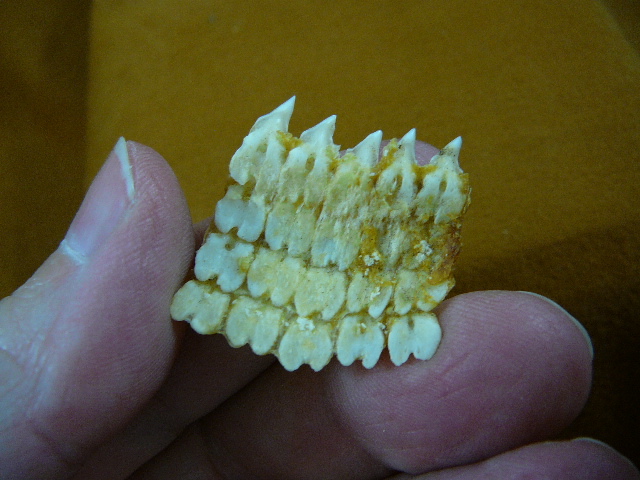 May have missing or broken/chipped teeth, discounted accordingly. 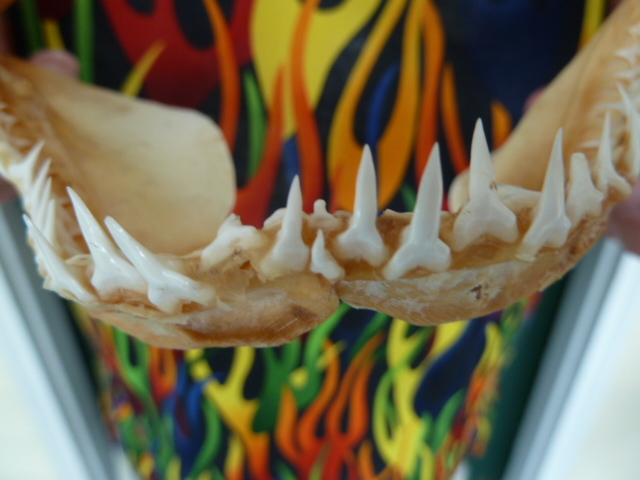 A few spinner shark and Oceanic white tip and bull shark teeth in the mix.